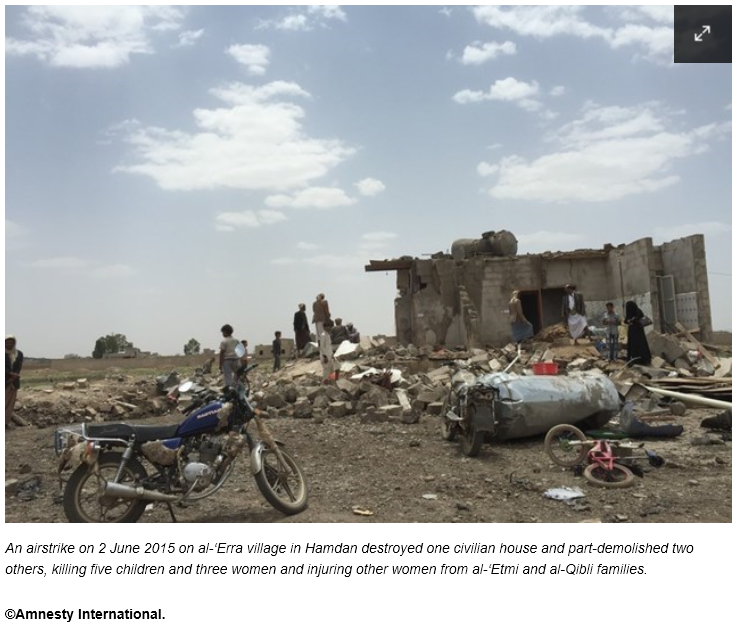 On 2nd June 2015, the Saudi led coalition airstrikes hit homes in al-Erra village in Hamdan, Sana'a governorate, destroying 1 house and damaging 2, killing 8 people including 5 children and 3 women, and injuring 1 other lady. 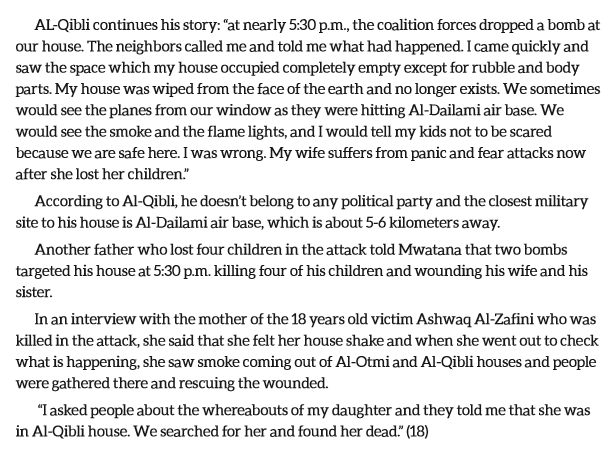 Five children and three women were killed from the al-‘Etmi and al-Qibli families and another relative was injured in an airstrike at around 5:30PM on 2 June. It completely destroyed one house and part-demolished two others. 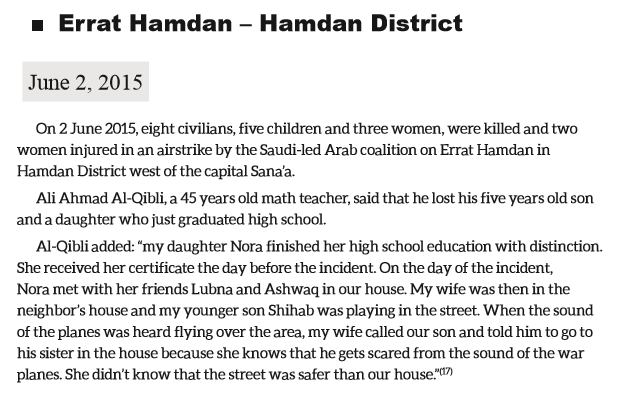 The location of the strike is less than one kilometre west of al-Kawla Air Force base and some two to three kilometres west of al-Dailami Air Force base, but residents said there were no hostilities or fighters operating in the area at the time. After the strike many residents fled from their homes fearing further airstrikes.